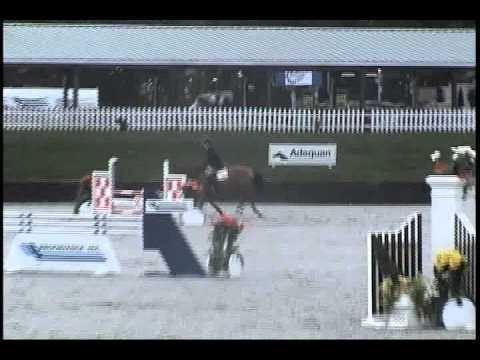 Roman Saluut: 2nd of 17 - 35K EMO Grand Prix (Ntl Std). 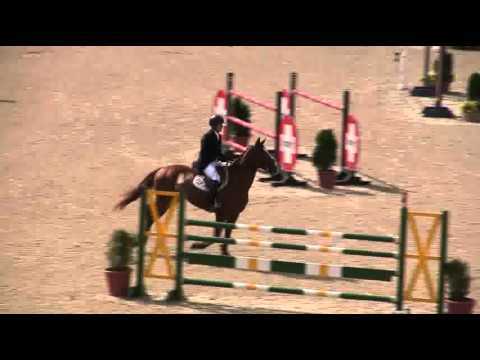 Calissandro: 1st of 23 - Open Jpr 1.20m, 1st of 12 - Open Jpr 1.30m. Que Si: 5th of 12 - Open Jpr 1.30m. Friller: 1st of 4 - YJC 7/8 YO 1.30m, 1st of 4 - YJC 7/8 YO Jpr 1.30m Qualifying. Lexus: 1st of 11 - Ch/Ad Jpr 1.10m, 1st of 6 - Ch/Ad Jpr 1.10m, 1st of 10 - NAL/WIHS Ch/Ad Jpr 1.10m Classic, Division Champion. Belvedere: 4th of 29 - Jr/AO Jpr 1.20m, 1st of 16 - Jr/AO Jpr 1.20m, 6th of 26 - NAL Jr/AO Jpr Classic 1.25m, Division Reserve Champion. Lady Lin: 3rd of 26 - NAL Jr/AO Jpr Classic 1.25m. Congratulations Devin Ryan Outstanding 2011 Show Season! All of us at River Run Stables proudly congratulate Devin on his outstanding achievements in 2011. He won 15 Grand Prix placings including 7 first place finishes. Congratulations as well to each horse and owner! Roman Saluut - owner Devin Ryan, No Worries - owner Barbara Rowland, Calissandro - owner Barbara Drake. Calissandro Wins 1st Grand Prix! With a crowd of supporters behind them, Devin and Calissandro take top prize finishing 1st out of 15 at the $30,000 Princeton Show Jumping Grand Prix at Hunter Farms, October 2, 2011. This comes less than two weeks after their big win at the YJC 7/8 YO Midwestern regional finals in Kentucky where they were division champions. 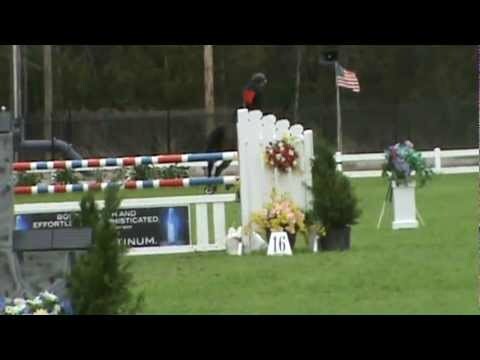 Devin Ryan & Calissandro post the only triple clear performance to win the YJC Midwestern League 7/8 Year Old finals held at the Kentucky National Horsepark in Lexington, KY.
Gracias made her debut at the 4 YO IJF Eastern Regional held at HITS in Saugerties, NY in September 2011. She won Champion- Best Scope & Technique and Best Type & Movement with Honorable Mention for Best Rideability. This gave her a placing of 2nd behind Tailwind. All of this accomplished following giving birth to her first foal, Altair, in May 2011!